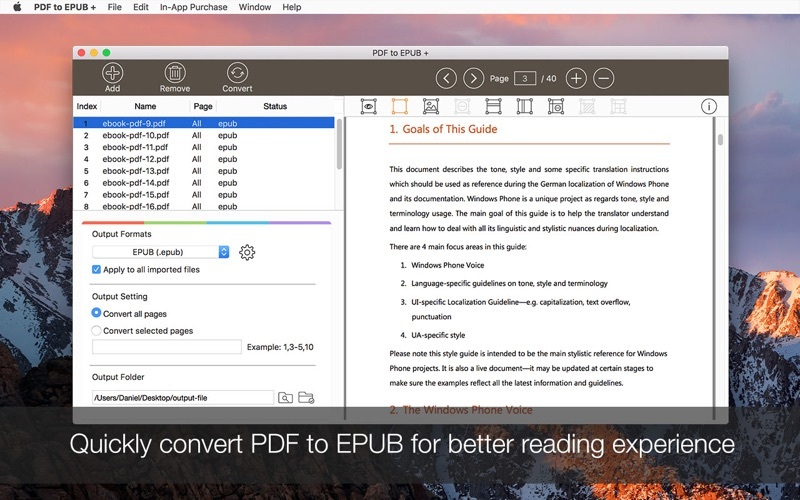 Lighten PDF to EPUB Converter helps you convert PDF to EPUB for better reading experiences on all devices. If you want to read ebooks or documents on an ebook reader or mobile device, EPUB is a better choice. EPUB format is re-flowable, responsive, it can automatically fit the screen size and give you a better reading experience. While PDF organizes the content in a fixed layout, it’s a hassle to view the full PDF in small screen. 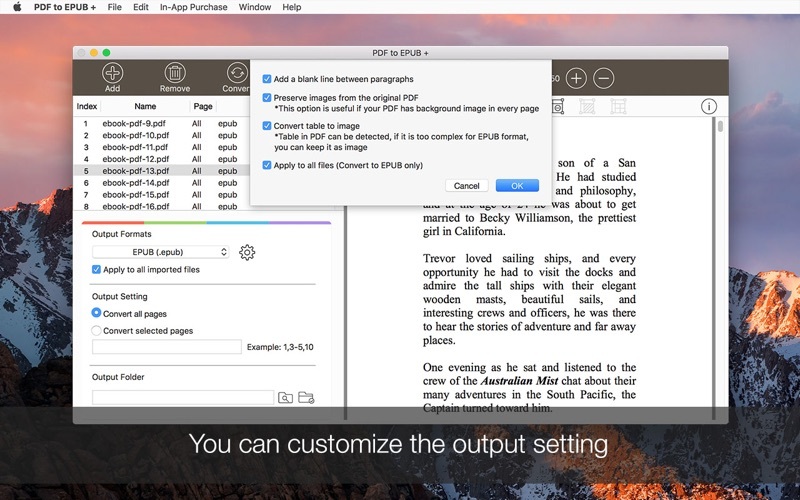 Lighten PDF to EPUB + is designed for converting your PDF file to EPUB for improving your reading experiences. 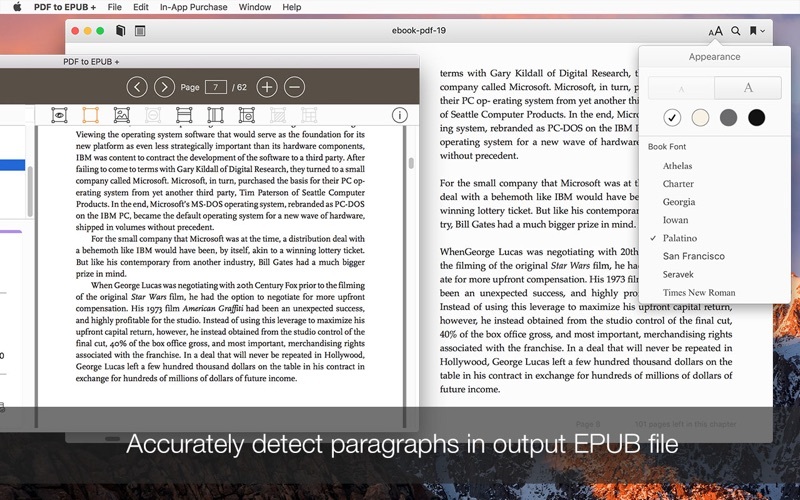 * PDF to EPUB + will analyze PDF data first, detect paragraphs and organize them into EPUB accurately. Even when the PDF has multiple columns, the app can also convert the content correctly. 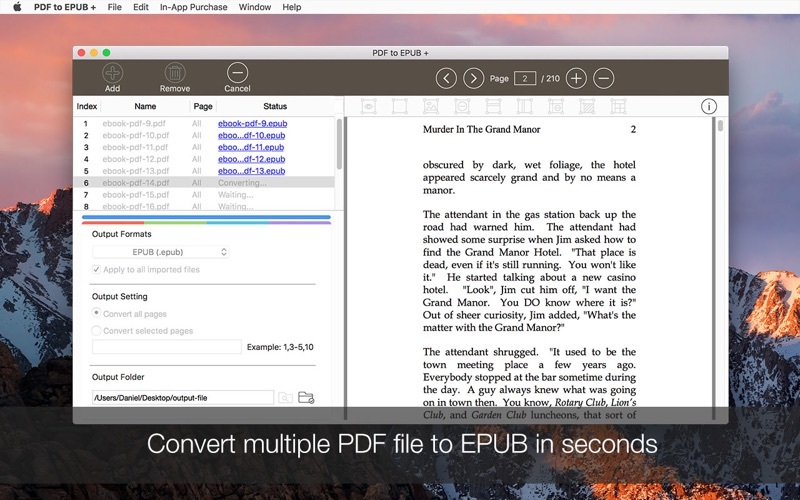 * It takes only 3 steps to convert PDF to EPUB. Simply add PDF files, select a folder to store the output EPUB files, and click 'Convert' button. * Built-in PDF reader lets you view PDF content easily, or mark table and image areas before conversion. * Add a blank line between paragraphs, instead of putting the paragraphs altogether. So you can easily understand the structure of your book. * You can keep the original image, or remove them from the output EPUB. This is useful if your PDF file has a background image on each page, or has many unnecessary image elements. So you can filter them all and focus on your reading. * Table data can be preserved as an image. EPUB is responsive, if the screen is not large enough, most of the time you can’t view the full picture of a table. 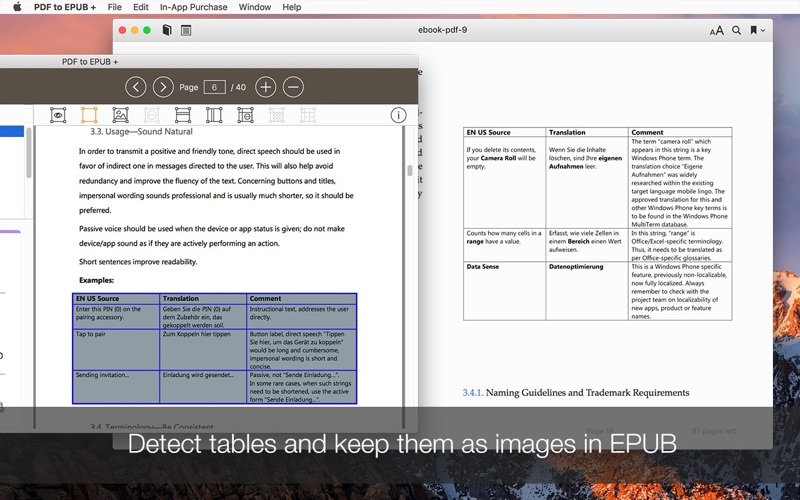 PDF to EPUB + can detect table automatically, you can also mark table areas within the PDF reader before conversion. 1. Fixed a bug - the previous version may crash during PDF to EPUB conversion if the PDF contains hyperlinks.